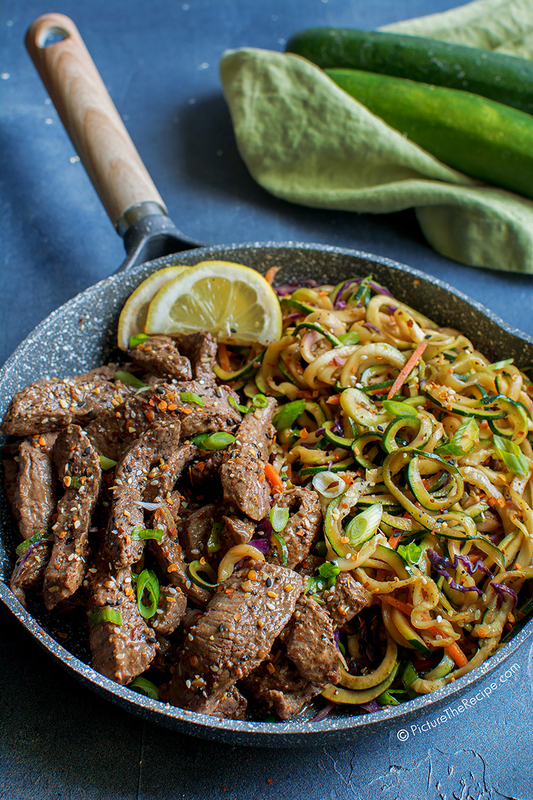 A simple, healthy and packed with flavor dinner of Beef and Zoodles that can be on the table in 20 minutes or less. 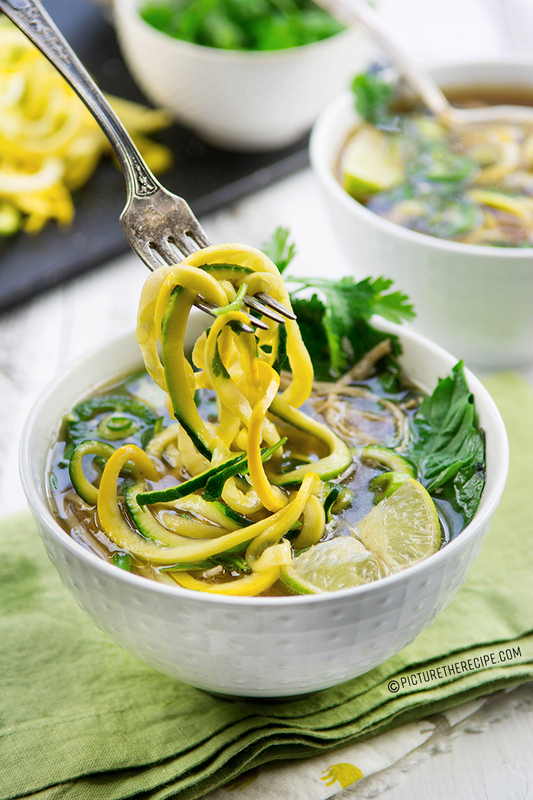 If you like Zucchini and haven’t tried zoodles yet, you are seriously missing out! 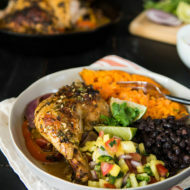 They are such great way to to elevate a meal while keeping it low-carb yet filling. 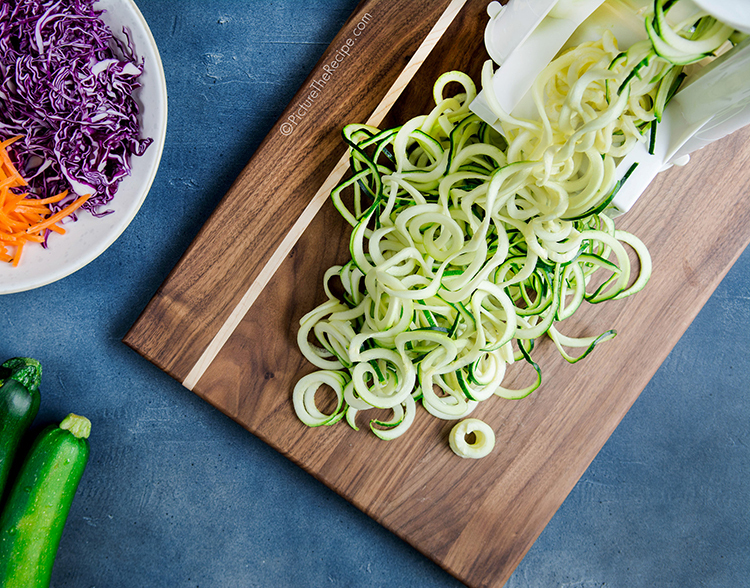 I first tried making zoodles, a.k.a Zucchini Noodles when I bought a spiralizer when we were doing a round of whole30 ( see more about that here). 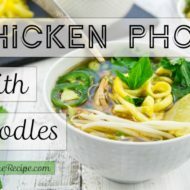 I especially love them in soupy noodle form like my chicken pho recipe. 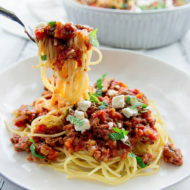 When making them that way I never cook my zoodles…just simply pour hot broth over them for a great noodle texture with a bite (see picture below)! However you can treat them just like noodles and give them a quick stir-fry and add whatever sauce or flavoring you may like as they are pretty neutral in taste otherwise. 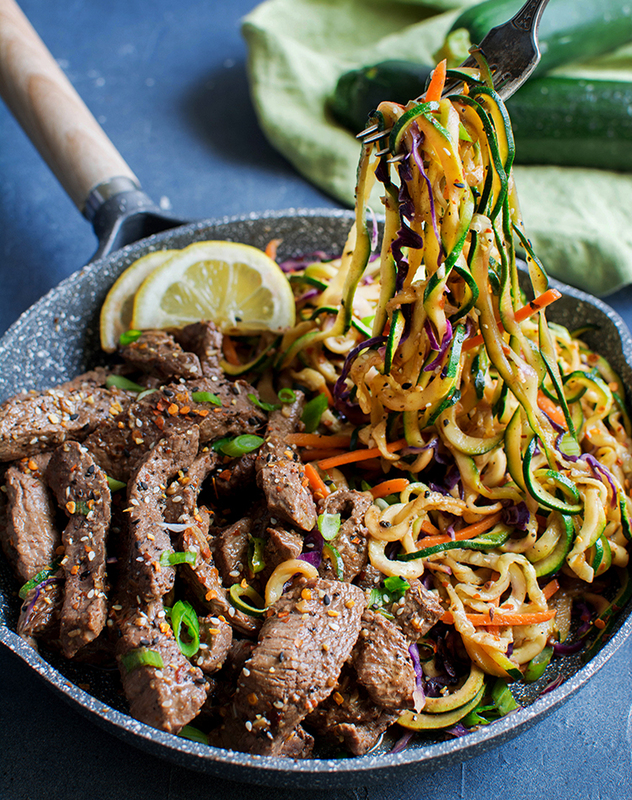 If you’re looking to include more veggies to your diet or simple have low-carb meals spiralizing noodles a good way to have the texture and vessel to carry meats and sauces without the extra carbs. That’s what I did in this super easy and quick chili- garlic beef with zoodles. I added some shredded carrots and purple cabbage for a little more color and texture, but simple treated the veggies like I would noodles and stir fried them in the pan after the meat so they absorb all the flavorings left in the pan. - Heat a heavy skillet/ wok on high heat and drizzle in the oil/butter. - Add the beef strips in one layer and season with salt and pepper. Cook for 1-3 minutes without stirring and brown the beef well. - Add minced garlic & red pepper flakes, then stir the beef for another two to three minutes to cook the other side. Remove the steak from the skillet and set aside. - In the same skillet add the beef or chicken stock, soy sauce, lemon juice and de-glaze the pan (basically rub all the brown bits off the bottom with the liquid). - Add the spiralized zucchini, carrots and cabbage and toss for minute or two to warm it up. Season with salt and pepper to taste. - Add the beef back to the pan and garnish with sliced green onions, sesame seeds and a squeeze of lemon juice. For a gluten free version- Use Tamari or gluten free soy. For whole30 or Paleo diets substitute the Soy Sauce with Coconut Aminos.